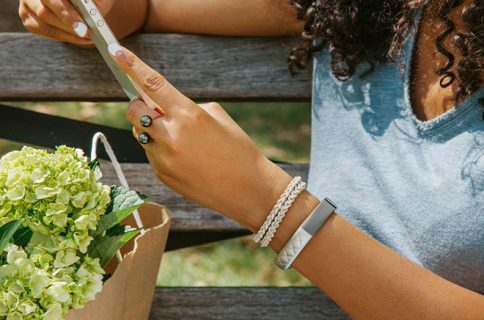 Jawbone joined the onslaught of pre-holiday wearable announcements this morning, introducing two new connected devices for tracking movement: the UP3 and the UP Move. The UP3 is a much improved version of the current UP24 band, and the UP Move is an inexpensive, clip-on tracker. 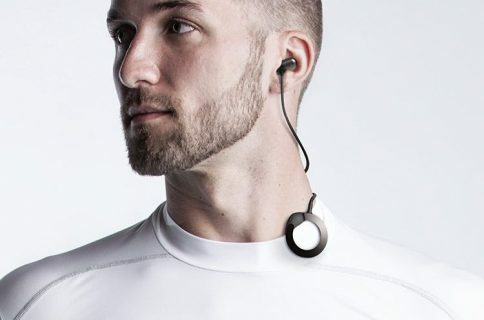 The UP3 is billed as the “world’s most advanced fitness tracker,” and is both smaller and lighter than its predecessor. It’s also sporting a refreshed design, and it contains some cutting edge new sensors that allow it do things like measure your resting heart rate, and identify what you are doing. The UP3 itself is just 1.5 inches long, and you can strap it to your wrist using a variety of bands. The face doubles as an invisible capacitive display for basic interactions, and is coated with anodized aluminum and stainless steel, making it water-resistant up to 10M—yes, you can take it swimming. The battery is of the 38mAh lithium-ion polymer variety, which takes about 100 minutes to charge, and Jawbone says that should be enough to last you the week. Other internals include Bluetooth 4.0 BTLE, a tri-axis accelerometer, and sensors for measuring both skin and ambient temperatures. Then there are the bio-impedance sensors, which make up perhaps the most interesting feature of the UP3. The band can measure respiration, hydration levels and galvanic skin response, giving it an unprecedented amount of information about your body, which it then feeds into its new, smarter software. Jawbone’s Smart Coach software takes all of this data, and uses it to make you healthier. For instance, if you become dehydrated after playing basketball, the UP3 will remind you to drink more water the next time you play basketball. It will also remind you to sleep more on the days you workout harder. The UP Move, on the other hand, is a much less sophisticated tracker. Shaped like a tiny puck, it can be clipped on or strapped to a wrist, and it does not offer all of the aforementioned sensors. It does, however, include Smart Coach, and serves as an inexpensive gateway into the Jawbone ecosystem. The UP3 is priced at $180, and the UP Move at $50, and both are expected to start shipping later this month. They join a plethora of newly-announced wearables, including Microsoft’s Band, the LG G Watch R, Fitbit’s Charge and Surge trackers, and of course the Apple Watch launches next year. What do you think of Jawbone’s new wearables?